Thapelo and Lesego Mokoena. (Photo: Thapelo Mokoena Instagram). 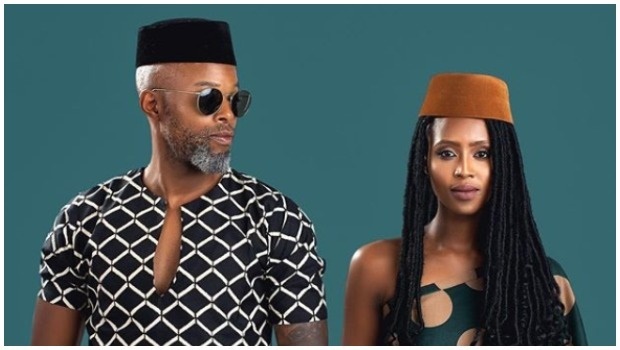 Entrepreneur Lesego Tshepang-Mokoena - married to media personality Thapelo Mokoena - is a fashion nova of note. From her effortless style on Instagram as she serves African inspired looks alongside her film maker husband to her gorgeous pregnancy outifts – there is more to her than meets the eye and her beauty is inward as much as its outward. The mother of two grew up in Klerksdorp, in the Northwest with her parents and two younger sisters. Seemingly small things now, but they made such a huge impact when she was growing up. When she was younger, Lesego didn’t have a specific role model, but she was intrigued by successful people. “Especially those who had to overcome insurmountable circumstances to get where they are,” she tells us. So what’s the one thing Lesego would tell her 24-year-old self, just ten years ago? READ MORE: "You are overweight and aren’t the typical pretty girl we see in the industry"
Lesego tells us that the most amazing thing about being a mother and wife is knowing that there are these incredible three humans that she comes home to every night, and that they love each other so much. If you follow her or Thapelo Mokoena on Instagram, you’d have noticed that the creative direction and style behind all their shoots is always breath-taking – without fail. And what makes it more amazing is that she’s the one responsible for them, “With a little help from Thapelo, of course,” she giggles. “I love creating. So having the opportunity to be able to create our aesthetic is absolutely incredible and fun,” she says. Simple and authentic. I wear what feels right, no matter what the current trends are. The ability to get things done and motivate myself without group consensus. It’s extremely difficult though. What are your tips for people with natural hair? Lots and lots of moisture! I just recently discovered the amazing benefits of steaming. So I steam my hair in the shower every day even if I have a protective hairstyle on. What’s the one thing you’d never be caught wearing? 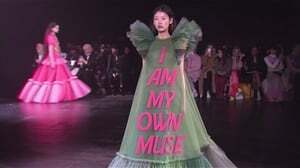 What would you like to see more of in the fashion/beauty industry? More emphasis on the business of fashion and how to remain in the industry as a business person and not just a creative. Because that’s how you will ultimately carve out your longevity in the Industry. What are your top three parenting tips? Love your child passionately. Hug and kiss them every moment you can. Don’t compare your child.Spend actual one-on-one time with them doing stuff. How do you keep your skin looking radiant? No, I’m really okay with two kids. What’s your favourite saying and why? How would you compare your first pregnancy to your second? Did you have any weird cravings? My second one went by super-fast because I was incredibly busy. So I never really had the time to ruminate on the fact that I was pregnant. It was just go go go. With my first, I had too much time! I was the typical new mommy who bought way too much of everything. Half the stuff is still in storage. No, I never really had cravings, just certain things I couldn’t stand anymore like chicken.